To Sum It Up: Noemi has returned to her home planet, but despite all that she’s done to try and defend Genesis as its battle with Earth continues, she hardly receives a heroine’s welcome. Instead she’s treated as an outcast for seeing so much more than a machine in Abel, the prized creation of the legendary scientist Burton Mansfield. Abel is still traveling the galaxy and has even assembled his own crew, but when Mansfield uses Noemi to lure Abel to fulfill his purpose, Abel doesn’t think twice about the sacrifice he will have to make to save Noemi. 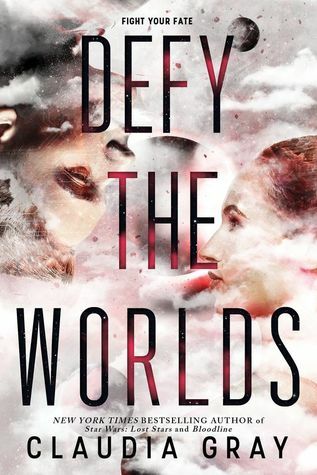 Review: Defy the Stars was one of my favorite reads of 2017, so I was very, very much anticipating diving into the sequel, Defy the Worlds. The first book blew me away with the story of Noemi Vidal, a fighter pilot whose home planet, Genesis, is locked in a battle with Earth, and Abel, a mech whose programming is so sophisticated, sometimes it’s difficult to believe he’s not human. Mechs are a huge part of Earth’s strategy to defeat Genesis, and so Noemi’s first impression of Abel was less than favorable. Book one saw Noemi’s attitude toward Abel shift significantly, as they traveled from planet to planet trying to find a way to help Genesis. The second book finds Noemi back on Genesis, where she’s become an outsider for seeing Abel as so much more than a mech. Abel, meanwhile, has assembled a tiny crew and is once again traversing the planets of the Loop, albeit with caution as he continues to try to evade his creator, Burton Mansfield. Mansfield built Abel for a sole purpose—to house the scientist’s brain after his death. With Mansfield ever closer to that point and desperate to find his “son,” Abel must always stay one step ahead of a man whose genius makes that task seemingly impossible. Defy the Worlds wastes no time plunging Noemi and Abel into intense action. Earth deploys the deadly Cobweb virus, which Noemi survived in the previous book, against Genesis, and Noemi’s attempt to get help ends up in her capture—by Mansfield and his daughter, Dr. Gillian Shearer. They use Noemi as bait to draw Abel out, knowing that he’ll do anything to save her. I happened to be watching the first season of HBO’s Westworld while reading Defy the Stars, and by another stroke of coincidence, I read Defy the Worlds during season 2 of Westworld. I’m fascinated by how both the books and the TV series examine how close a machine can come to being human and all of the ethical issues that question raises. Defy the Worlds takes mech tech even further, with Mansfield’s latest iteration offering potential immortality. That is, only to a very select few in comparison to the size of the galaxy’s population. I love how deep this series is, exploring the possibility that a mech might have more humanity than an actual human being. Although I very much enjoyed reading about Noemi and Abel again, I did feel that this was slower paced than book one. 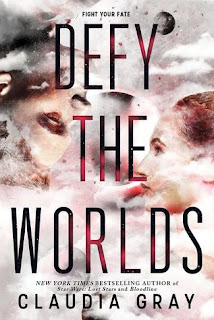 Defy the Worlds was still an excellent read, though, with plenty to love, including some fantastic character development for our two protagonists. The book left off on a hell of a whopper, which makes me all the more eager to get my hands on book three. All in All: Defy the Worlds was a very solid follow-up to Defy the Stars and definitely worth the wait. I didn’t find it as fast paced as the first book, but otherwise it was awesome to be back with Noemi and Abel once more.